In one church, St Sebastian’s in Negombo, north of the capital, Colombo, more than 50 people had been killed, a police official said. Much of the church roof was blown out in the explosion, with roof tiles and splintered wood littering the floor and pools of blood in between wounded worshippers. Three churches and three luxury hotels were targeted. There were also explosions at a guest house near the zoo and in a residential area of Colombo. Most of the targets were either in or close to the capital. Among the hotels targeted was the Cinnamon Grand, a luxury hotel in the centre of the city that is favoured by politicians. Three hours after the bombings, security forces surrounded a house in the Dematagoda neighbourhood of Colombo, where they arrested seven people, of whom three were reported to have required immediate medical assistance. There was at least one explosion during the operation, which may have been caused by a suicide bomber. Ruwan Wijewardena, the minister of defence, said investigations had established that suicide bombers were responsible for the majority of the morning’s bombings and that the wave of attacks was the work of a single group. The foreign minister said at least 27 foreigners were among the dead. Three police officers were believed to have been killed during the operation in Dematagoda. The attacks are the most significant in the small island nation for many years, and come a decade after the end of a bloody civil war. One explosion occurred at a hotel near the national zoo, when attackers were reportedly cornered by security forces. Authorities imposed a curfew, though it was unclear if the ban on movement would start immediately or was overnight. Hospitals were struggling to cope with the influx of casualties. At least 160 people injured in a blast at St Anthony’s Shrine in Colombo had been admitted to the Colombo National hospital by mid-morning, one official said. The main hospital in the eastern port city of Batticaloa had received more than 300 people with injuries following a blast at the Zion church. There were no immediate claims of responsibility for the attacks. The prime minister, Ranil Wickremesinghe, convened Sri Lanka’s top military officials at an emergency meeting of the national security council. “I call upon all Sri Lankans during this tragic time to remain united and strong. Please avoid propagating unverified reports and speculation. The government is taking immediate steps to contain this situation,” Wickremesinghe said on Twitter. Leaders around the world rushed to condemn the attacks. Theresa May, the UK prime minister, called the blasts “appalling” and Justin Welby, the archbishop of Canterbury, said those affected would be in the prayers of millions marking Easter Sunday around the world. “On this holy day, let us stand with the people of Sri Lanka in prayer, condolence and solidarity as we reject all violence, all hatred and all division,” he said. Sri Lanka is a popular tourist destination and 30 foreigners were among the dead, officials said. Julian Emmanuel and his family, from Surrey, were staying at the Cinnamon Grand when the bomb went off. He told the BBC: “We were in our room and heard a large explosion. It woke us up. There were ambulances, fire crews, police sirens. I came out of the room to see what’s happening. We were ushered downstairs. We were told there had been a bomb. Staff said some people were killed. The blasts marked the end of a lull in violence after the end of the civil war in 2009, during which bombings were common. Colombo’s archbishop, Malcolm Ranjith, called on the public to rally in support of the victims, requesting all doctors to report to work despite the holiday and members of the public to donate blood. The Muslim council of Sri Lanka issued a statement condemning the attack on the places of worship of “our Christian brothers and sisters on their holy day of Easter, as well as on the hotels in Colombo”. “We mourn the loss of innocent lives due to extremist and violent elements who wish to create divides between religious and ethnic groups to realise their agenda,” the statement said. Out of Sri Lanka’s population of about 22 million, 70% are Buddhist, 12.6% Hindu, 9.7% Muslim, and 7.6% Christian, according to the country’s 2012 census. 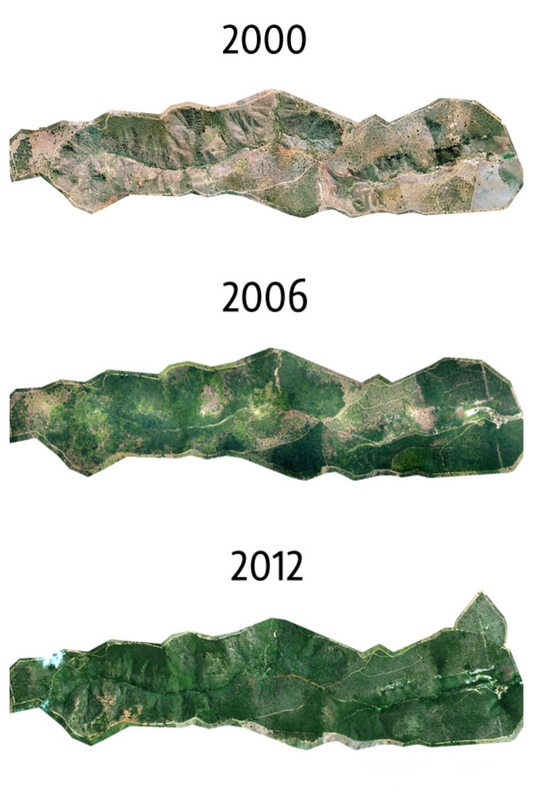 There has been growing intercommunal tension in Sri Lanka for several years. Last year, there were 86 verified incidents of discrimination, threats and violence against Christians, according to organisations that represent more than 200 churches and other Christian organisations. This year, the National Christian Evangelical Alliance of Sri Lanka (NCEASL), recorded 26 such incidents, including one in which Buddhist monks allegedly attempted to disrupt a Sunday worship service, with the last one reported on 25 March. Nearly three years ago, so-called Islamic State fighters swept through northern Iraq, where the country’s oldest ethnic minority were living - the Yazidis. Many of the men were shot, while the women and children were kidnapped, taken as hostage and raped. The Victoria Derbyshire programme’s reporter Fiona Lamdin has spent a couple of days with a small group of women who have been resettled in Germany, and are trying to rebuild their lives. For London’s airports, the weeks straddling the new year have been chaotic to say the least. Yesterday, Heathrow—Europe’s busiest airport—closed its runway briefly following a security alert. In normal times, this inconvenience wouldn’t attract much attention, but this alert came after Gatwick, London’s second airport, was forced to close for 36 hours, stretching over three days. The stoppages grounded 1,000 planes and affected the holiday journeys of an estimated 140,000 people. But it wasn’t (as far as we know) a terrorist threat or a staff strike that caused these disruptions. It was sighting of that small but increasingly ubiquitous and reviled item of contemporary electronic equipment: the drone. Indeed, the past month has seen drones become something of an obsession around London. Over the past three weeks, the region’s police, air traffic controllers, and even its armed forces have been squinting at the sky, trying to work out if tiny airborne intruders are heading for its runways. At Gatwick on December 19, over 60 people claimed to have spotted a drone or drones close to the terminal. Infuriatingly, the drones seemed to reappear just at the point when the airport was about to start flights again, triggering a gridlock of frustrated passengers in the terminals. What made the shutdown yet stranger is that no drone was ever caught on camera, although police insist they were indeed present. In a period when British public life is already somewhat disordered and hysterical, people even started to wonder if the drones weren’t a collective figment of the imagination, some feverish embodiment of the spirit of the ongoing Brexit meltdown. A couple of local drone enthusiasts were hauled in for questioning and released without charges, but unfortunately not before they had been demonized in the media and targeted with death threats for a crime they apparently had no connection to. As yet, no culprit has in fact emerged, though police are now looking into a possible connection between the two episodes. Is is really necessary to halt a capital city’s air traffic because of a buzzy consumer gizmo that can be as small as a shoebox? Apparently, yes. Drones can indeed pose some degree of threat to airliners in the event of a mid-air collision. As this Financial Times article notes, a larger, two-kilogram drone could critically damage an airplane’s windshield, an event that might feasibly in the worse cases bring the plane down. FAA testing has documented the dangers of having drones ingested by aircraft engines. And, as this video made by researchers at the University of Dayton shows, even a smaller 1-kilo drone can cause major damage to an airliner’s wing if they meet at more than 200 miles per hour. Accordingly, on Monday Britain’s government granted the police more powers to ground drones, albeit with rules that won’t be in place until this November. From the late autumn, any drone owner with an apparatus weighing over 250 grams (8.8 ounces) will have to register their ownership and take an online drone piloting competence course. Meanwhile, small fines will be levied for offenses such as failing to land a drone immediately on police request. While piloting a drone in close proximity to an airport is already illegal, these rules should still make it easier for the authorities to control amateur drone enthusiasts. Sri Lankan media has aired CCTV footage of a person suspected to be one of the bombers who attacked churches on Easter. A bearded man, carrying a backpack, is seen walking across the courtyard of St Sebastian's Church in Colombo and entering the main building. An explosion took place minutes later in which more than 50 people were killed. While the Sri Lankan government suspects a local extremist organisation's hand, the Islamic State has claimed responsibility for the bloodshed. 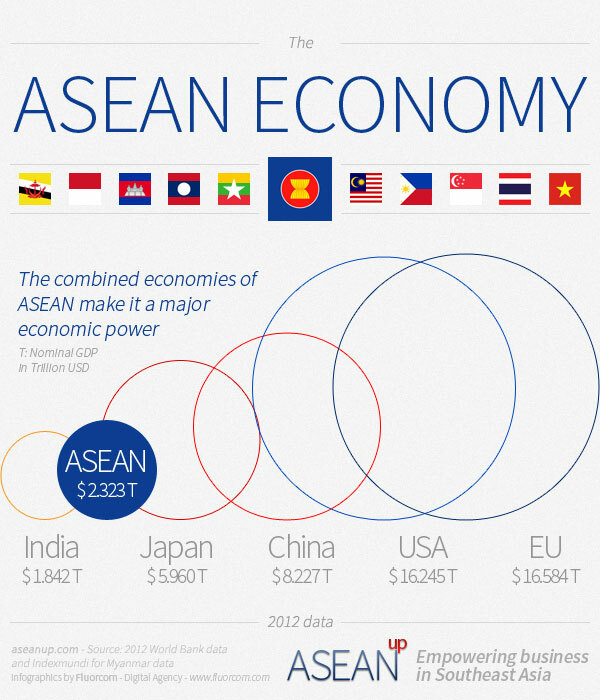 Western economic sanctions to Burma in February 2011 to continue the NLD issued a statement demanding that. The film was then argue that "these sanctions having the government and the people of the rest of their community," he said. That was one of the party How do you know that I know that the NLD is doing research. This kind of research he did to save future or just above her talented community do not know. At that time, did research correctly, the current poor-rich gap Who are still good, and who is still downtrodden to see what you think. Research working party race will cover how to improve the country? Aung San Suu Kyi's party has said that Western sanctions on the country should remain in place, arguing the embargo affected the military regime and not the broader population. The announcement by the National League for Democracy (NLD), Burma's biggest opposition force, will be a blow to both the ruling junta and Western investors keen to tap the isolated country's vast natural resources. "We came to find that the sanctions affect only the leaders of the ruling regime and their close business associates, not the majority of the people," Tin Oo, NLD vice-chairman, said. Tin Oo said a report based on research by the NLD, whose 1990 election victory was ignored by the junta, would be released later. Ms Suu Kyi, who was released from house arrest on Nov 13, has long backed sanctions as part of her fight against decades of authoritarian military rule in the former British colony also known as Myanmar. The sanctions were intended to force the regime to improve its poor human rights record and initiate democratic reforms. 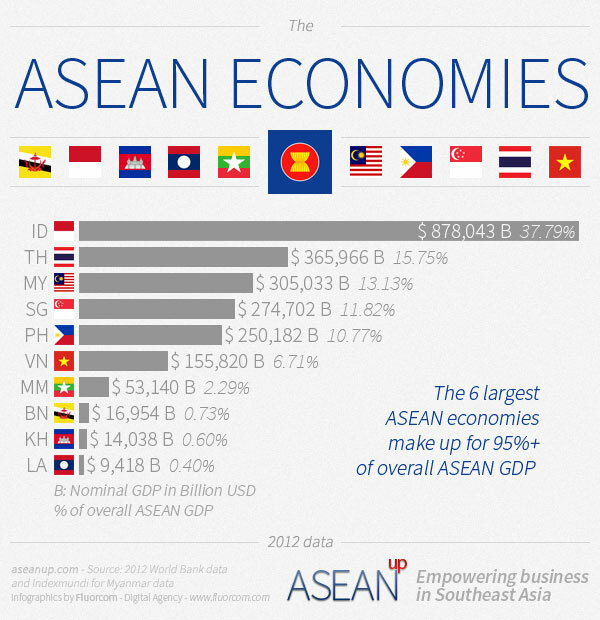 But many experts say the policy damaged the economy and hurt the Burmese people, pushing the generals closer to neighbours China and Thailand, which are tapping the country's vast energy reserves. Soon after her release, Ms Suu Kyi indicated she might recommend the lifting of the embargoes, which prompted a flurry of diplomatic activity and attracted wide attention in the West. Around the same time, Burma launched a drive to attract Asian investors, touting its tourism potential and abundant supplies of gemstones, timber, oil and gas, much of which remained intact because of "unfavourable Western sanctions". Such sanctions have not affected the wealth and lavish lifestyles of the junta top brass, but they have hampered efforts to acquire new weapons technology for the military and have increased dependence on China. Many experts see the sanctions as Ms Suu Kyi's best, and perhaps only, bargaining chip in the changing political landscape. While hugely popular and a symbol of hope for the Burmese people, Ms Suu Kyi and the NLD have no official political role in Burma having boycotted the Nov. 7 election because of strict election laws. 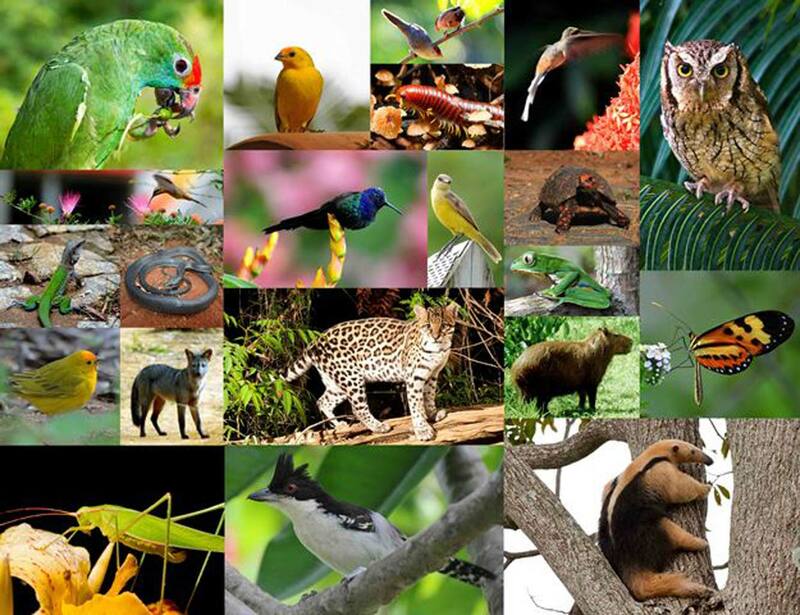 The mammoth project has planted saplings of more than 290 species of trees, and seen the return of many species of birds, mammals, amphibians, reptiles, and insects. This project is the result of an ambitious initiative taken in the late 1990s by renowned Brazilian photographer Sebastião Salgado and his wife Lélia Deluiz Wanick Salgado. 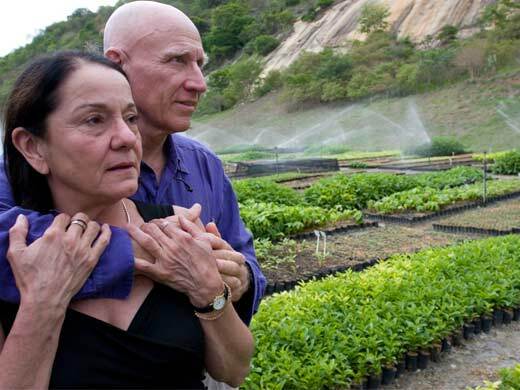 Confronting environmental devastation in and around a former cattle ranch bought from Salgado’s family near the town of Aimorés, in Brazil’s state of Minas Gerais, they decided to return the property to its natural state of subtropical rainforest. The ongoing results are truly amazing. “Perhaps we have a solution. There is a single being which can transform CO2 to oxygen, which is the tree. We need to replant the forest. You need forest with native trees, and you need to gather the seeds in the same region you plant them or the serpents and the termites won’t come. And if you plant forests that don’t belong, the animals don’t come there and the forest is silent. By December 2012, over 700 educational projects had been developed, embracing 65,000 people in more than 170 municipalities of the Valley of the River Doce, covering both the states of Espírito Santo and Minas Gerais. Some projects have reached as far as the states of Bahia and Rio de Janeiro. The Instituto Terra committed itself to the recovery of the 1,502 acres of rainforest in the Bulcão Farm in Aimorés, Minas Gerais. The farm was completely devastated when, in 1998, it received the title of Private Natural Heritage Reserve (PNHR). The former cattle ranch originally covered 1,740 acres. By halting erosion of the soil, the replanting the ground cover at the PNHR Bulcão Farm is fostering a revival of the farm’s water resources - both in quantity and quality. For the last 45 years, award-winning Brazilian social documentary photographer and photojournalist Sebastião Ribeiro Salgado has been travelling the continents in the footsteps of an ever changing humanity. He has witnessed and recorded the major events of our recent history; international conflicts, starvations and exodus. PICK ONE EASY STEP TO SAVE THE RAINFOREST: Sure, governments can create laws to stop deforestation, but what can you do save the rainforest? It turns out quite a bit. Choose just one thing on this list and start making a difference. Over time you can add more actions and make an ever bigger difference. Here you can donate money to support the amazing work of Instituto Terra. The website is Portuguese language but it speaks for itself. Or use Google Translate to help you navigate. 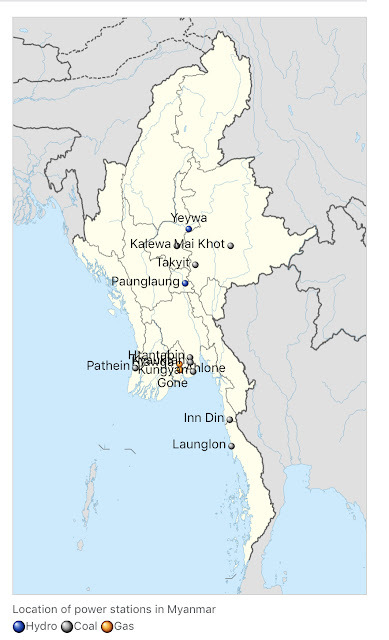 List of power stations in Myanmar. The following is a list of the power stations in Myanmar. There are almost 200 large Dams in Myanmar. 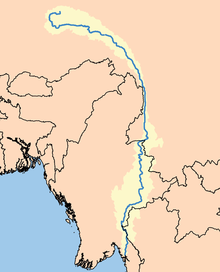 Myanmar (Burma) has a large hydroelectric power potential of 39,000 megawatts (52,000,000 hp), although the economical exploitable potential is about 37,000 megawatts (50,000,000 hp). Between 1990 and 2002, the country tripled its installed capacity of hydro plants, increasing from 253 megawatts (339,000 hp) to 745 megawatts (999,000 hp). Total installed capacity in 2010 is at least 2,449 megawatts (3,284,000 hp) MW, 6% of potential. Several large dams are planned to increase future hydro utilization. Although Myanmar is underdeveloped in terms of its hydro-power potential it is not for lack of trying. The agency charged with expanding Hydro project is the State Peace and Development Council and the current chairman of Sr-Gen Than Shwe strives to build more dams. Shwe who hails from the Kyaukse region, through which the Zawgyi River flows is widely rumored to believe himself a reincarnation of King Anawrahta (r. 1044-1077). During his reign King Anawrahta was a prolific dam- and canal-builder, especially along the Zawgyi river. He viewed his hydro projects as atonement for killing his foster-brother Sokkate. The total electricity generated by Myanmar in 2002 was 6,614 gigawatt-hours (23,810 TJ), consisting of oil (612 GWh, 9%); gas (3770 GWh, 57%); and hydro (2232 GWh, 34%). Myanmar's hydro power development activities and plans include five-year short term plans and a 30-year strategic plan. This involves generating power for domestic use and exporting to neighboring countries, especially China, Thailand and India. Total planned hydro power development in Myanmar is 14,600 MW. Though the twelve large planned hydroelectic dams larger than 1,000 MW get much media attention, there are at least another twelve in the 100 - 1000 MW range and at least 27 smaller microhydroprojects smaller than 100 MW. The rest of the dams are generally lower height irrigation structures. At least 45 Chinese Multi-National Corporations have been involved in approximately 63 hydropower projects in Myanmar, including several related substation and transmission line projects. The country's State Peace and Development Council Chairman Than Shwe met with Chinese representatives at the Shweli I Dam. Seven dams have been proposed for the Salween River. The largest of these hydro power projects is the 7,100 megawatts (9,500,000 hp) (MW) Tasang Dam on the Salween River, which is to be integrated into the Asian Development Bank’s Greater Mekong Sub-region Power Grid. A ground breaking ceremony for the Tasang Dam was held in March 2007, and China Gezhouba Group Co. (CGGC) started preliminary construction shortly after. China’s involvement in the damming of the Salween River is not limited to the Tasang project. In 2006, the government signed a Memorandum of Understanding (MoU) with Sinohydro for the US$1 billion, 1,200 MW Hat Gyi Dam along the Thai border. In April 2007, Farsighted Group, now known as Hanergy, and China Gold Water Resources Co. signed MoUs for an additional 2,400 MW hydropower project on the upper Salween, an area which Yunnan Power Grid Co. reportedly surveyed in 2006. In April 2008, Sinohydro, China Southern Power Grid Co., and China Three Gorges Project Co. signed a strategic cooperation framework agreement for the development of the hydro power potential of the Salween River. Despite China’s involvement in these large-scale dams on the Salween, most of the electricity is destined for export to neighboring Thailand. However, In May 2009, Chinese Premier Wen Jiabao halted the construction of the Liuku dam on the Salween River in China’s Yunnan province, calling for more thorough impact assessments. A few months later, YUPD assumed an 80% share in the project after creating the Shweli River I Power Station Co. together with Myanmar, turned the Shweli I dam into a Build-Operate-Transfer (BOT) project, and increased the installed capacity from 400 to 600 MW. At least two Sinohydro subsidiaries have provided construction services for the project, and Sichuan Machinery & Equipment Import & Export Co. and Ningbo Huyong Electric Power Material Co. have signed US$ multimillion contracts for electricity transmission cables and towers. The Shweli I Hydropower Plant is slated for completion by June 2009, and was half complete as of May 2007. In Kachin State, several Chinese MNCs are involved in the construction of seven large dams along the N’Mai Hka, Mali Hka, and Irrawaddy River, with a combined installed capacity of 13,360 megawatts (17,920,000 hp) In 2007, China Power Investment Co. signed agreements with Burmese authorities to finance all seven dams, as well as with China Southern Power Grid Co. Yunnan Machinery & Equipment Import & Export Co. (YMEC) signed an MoU with Myanmar's Ministry of Electric Power in 2006 to develop the hydropower potential of the N’Mai Hka; however details about this arrangement remain unclear. Changjiang Institute of Surveying, Planning,Design & Research has also completed a feasibility study at the confluence of the N’Mai Hka and Mali Hka. In western Myanmar, just inside the Indian border, runs the Chindwin River, where several potential dam sites have been identified that are likely to service export-oriented hydro-power plants. The sites include Thamanthi, Mawlaik, Homalin, and Shwezaye (). In August 2001, the Kansai Electric Power Company, or KEPCO, contracted with Myanmar to provide technical assistance for developing 12 hydro-power plants, including at least five sites on the Sittang River Yenwe, Khabaung, Pyu, Bogata and Shwe Gin. China CAMC Engineering Co. has been involved in the surveying and implementation of hydropower projects in the region. The 790 MW Yeywa Dam in Mandalay Region, which began construction in 2006, is also being financed and constructed by several Chinese MNCs, including China Gezhouba Group Co.,Sinohydro, China International Trust and Investment Co. (CITIC) Technology Co., ChinaNational Electric Equipment Co., China National Heavy Machinery Co., and Hunan Savoo Oversea Water and Electric Engineering Co. Additional financial backing for the project is being provided by the China EXIM Bank. In addition to the Yeywa, Shweli and Hat Gyi projects, Sinohydro China’s largest dam company and its subsidiaries have been involved in the Kun Creek-2, Kyauk, Monechaung,Nam Hkam Hka,Paunglaung (upper & lower), Tarpein I, Thapanseik I, II, III, and Zawgyi I Dams. As with the Yeywa project, both CITIC and China EXIM Bank provided investment and financial backing for the Thapanseik Dam. In addition there were at least 10 major irrigation dams completed during the period between 1962 and 1988. Apple Care + Extended 2 years warranty!